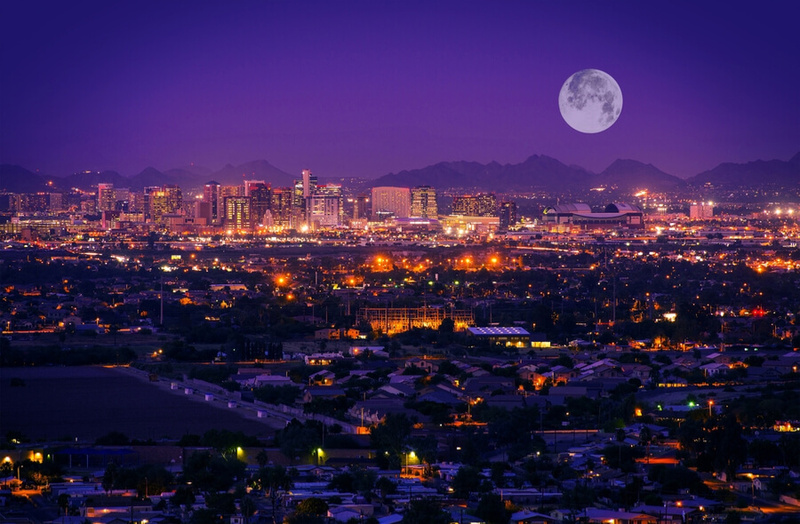 The Lifewell Behavioral Wellness is located in beautiful Phoenix, Arizona. The Lifewell Behavioral Wellness is a non-profit, completely free-of-charge recovery center that offers help to those who most need it regarding mental health issues, serious mental illnesses, and substance addiction. The Lifewell Behavioral Wellness is most popular for its residential treatment program; however, it also offers an outpatient treatment program to those who are unable, for any reason, to take time from work or school in order to focus on their treatment. In addition, every patient that has completed his/her treatment successfully is free to use the facilities of the Lifewell Behavioral Wellness which are meant for community living. As a part of the community living, the patients are free to leave the facility during the day for work or school, as well as, visit their family members and friends. The Lifewell Behavioral Wellness does not provide detoxification, so these issues must be solved before the patients begin their treatment. The patients live in a 20-person apartment complex. Patients are required to share the apartments with each other. Each apartment has bedrooms, bathrooms, kitchens, and living rooms. All of the treatments – individual and group therapy sessions, take place in the main facility at the Lifewell Behavioral Wellness. The patients are required to cook for themselves, using the kitchen in the main facility. They also have household chores that they are expected to complete on a daily basis during their stay at the Lifewell Behavioral Wellness. Residential treatment program – The residential, or inpatient, treatment program requires the patients to live on the grounds of the Lifewell Behavioral Wellness during their 90-day stay at the facility. As a part of their treatment program, the patients are required to visit their individual therapy sessions once a week, and as for the rest of the week, they take place in group therapy sessions and wellness education. As a part of wellness education, the patients are thought about stress management, anger management, coping skills, independent living skills, etc. The patients who have been victims of sexual abuse and/or domestic violence have the opportunity to discuss these topics privately and heal properly with the help of experienced counselors. Outpatient treatment program – For patients who are unable to live on the grounds of the Lifewell Behavioral Wellness for the duration of their treatment program, they can choose to participate in the outpatient treatment programs offered. These programs include everything that a normal residential program includes, however, the duration and schedule of the treatment sessions are to be determined according to the needs and possibilities of the patient taking in consideration his/her work and school requirements. A lot of the individuals struggling with mental health issues, mental illnesses and especially, substance abuse, are often unable to provide the payment needed to ensure themselves a place in a quality recovery center. That makes Lifewell Behavioral Wellness different from most recovery centers since we are talking about a free-of-charge recovery center that provides top-notch care for all of its patients are gives the same amount of love and support to each and every one of them. Unfortunately, there is no specific information about the accreditations and licenses that the Lifewell Behavioral Wellness has earned throughout the years of its existence. We encourage our readers to contact the official staff for more information about this topic via phone or email. A big problem for a lot of women struggling with substance abuse and mental health issues is to find someone who can take care of their child/children during the treatment at the recovery center. The Lifewell Behavioral Wellness offers a perfect solution to this problem. Each mother is welcome to bring her child/children to the facility to live together as a part of the residential treatment program. As an amenity for the children, there is an on-site playground that all of the children are welcome to use at any time. Bringing over 13 years of experience working with patients struggling from mental health issues and substance abuse, Dr. Cupp-Herring serves as the chief clinical officer at the Lifewell Behavioral Wellness. Dr. Cupp-Herring is a Licensed Professional Counselor and a Licensed Independent Substance Abuse Counselor. She is also a part of the faculty team at the University of Phoenix where she teaches psychology and substance abuse courses. Dr. Wheeler is a Licensed Professional Counselor and is part of the team at the Lifewell Behavioral Wellness for over 13 years now. He has served the community as an outpatient counselor, site program manager and it is now responsible for the community living, outpatient and residential treatment programs at the Lifewell Behavioral Wellness. Since 2002 – the year when Dr. Hoch has joined the team at the Lifewell Behavioral Wellness, she is responsible for every outpatient service including counseling, medication management, clinical oversight, and program development. She is a Licensed Independent Substance Abuse Counselor. Mrs. Hanley is responsible for the administrative and clinical leadership at the Lifewell Behavioral Wellness. She also oversees each staff training and development.